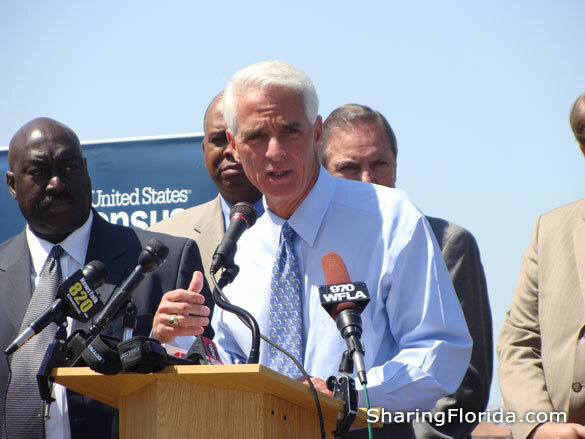 Pictures and Information on Events that Took Place in Florida – This is our neverending list of events that took place in Florida. Everything from the World Series to the Super Bowl. Also in this section are photos and information from storms and small city events. 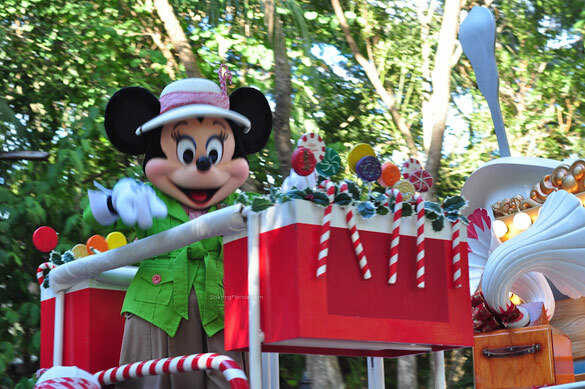 This annual event is called Mickey’s Not So Scary Halloween Party, meant for children, so it is not scary. Has the common Halloween themes with pumpkins, candy corn, lots of orange, black, and white, and of course fireworks! Our photos from Spring Break 2009 on the Gulf Coast of Florida. All of the photos on this page were taken the first week of March 2009. Photos from the annual Gasparilla in Tampa Florida. This year had Jim Belushi as the Grand Marshall of the parade. 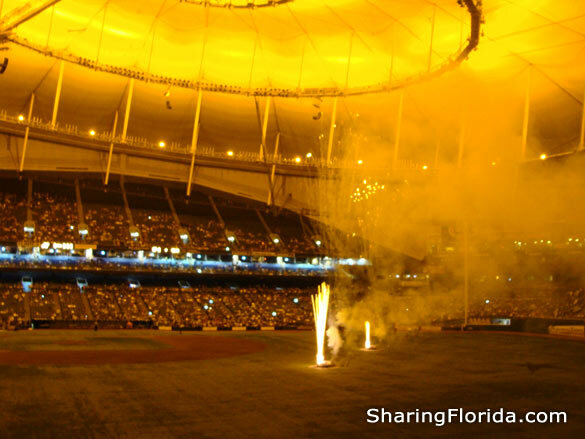 April 2010 – This is the post-game party at Tropicana Field which featured INDOOR FIREWORKS, and The Centerfield Shuffle which allowed all the fans to walk across the field and dance. Fans could see themselves on the ‘jumbotron’. 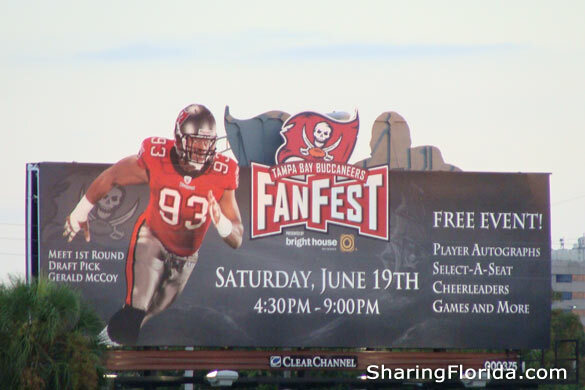 They called this Friday Fest at Tropicana Field. The scheduled events for Friday Fest can change each season, and each week. Friday Fest usually adds on to the game experience with pre and post game activities that do not occur during others games. This is the 2010 Friday Fest with fireworks! Downtown St. Petersburg, Florida featured live music and assorted local vendors as well as all the local news channels right near Tropicana Field. Home opener: Baltimore Orioles at Tampa Bay Rays. Game was sold out! This is the Easter area at the Magic Kingdom a week before the official Easter Sunday. 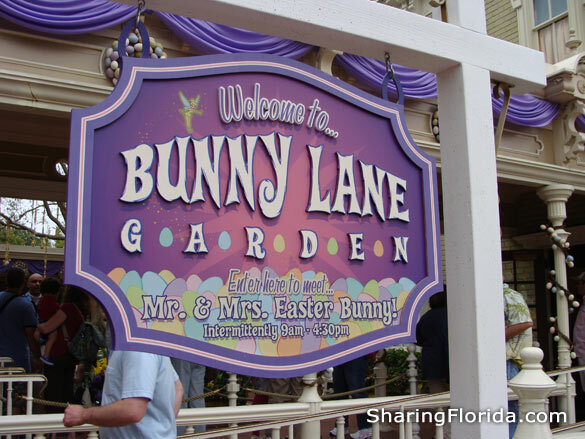 The area was called Bunny Lane and you could see Mr. and Mrs. Easter Bunny for pictures and autographs. Located just past the entrance area at the Magic Kingdom at Disney World. There were also spring flowers on display in this area. The rest of the park did not have much for an Easter theme as this was a week prior to Easter. 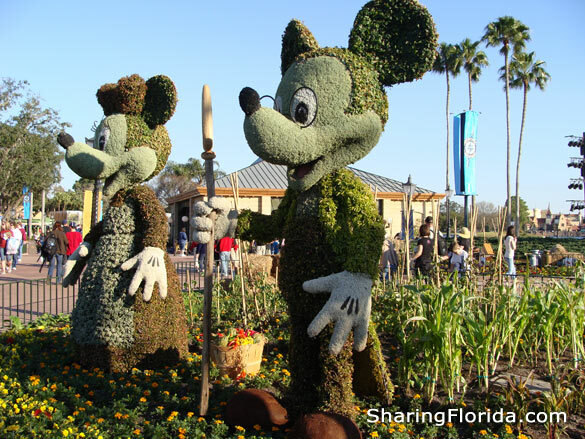 This is the 2010 topiary display at Epcot in Disney World, Florida. 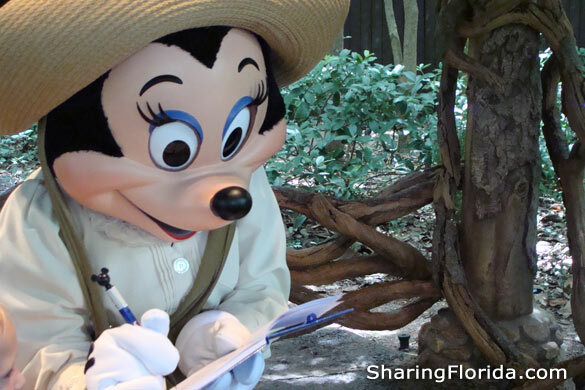 Pictured here are all of the Disney characters displayed around Epcot. Includes Lion King characters, Beauty and the Beast, and even dolphins! Also pictured are some of the flower displays at Epcot.